Owing to the sprawling infrastructure, we have been able to provide the customers with excellently designed Filling & Weighing System. Under this range, we offer Drum Filling & Weighing System, Drum Filling System, Weighing System, Drum Filler and Weighing And Batching System. The entire range is precisely engineered using superior grade raw material, which is sourced from the reputed vendors of the market. Offered in varied sizes & specifications, the range is acknowledged for rigidity, efficiency, optimum performance and low maintenance. Driven with perfection, we are engaged in fulfilling the diversified demands of the customers by bringing forth a comprehensive assortment of Weighing & Batching System. Specifically used for measuring the weight of any type of material, the range is widely appreciated by the clients for high operational accuracy and efficiency. 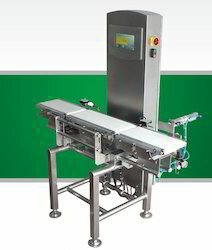 Being a quality-conscious entity, the prime motive of the organisation is to provide the customers with a robustly designed Bin Activator Weighing System.